"We came to Bolzano this morning," says Dawit*, an Eritrean whose ship was rescued by Italian marines two weeks ago. He was brought to Lampedusa and has since travelled through Sicily, Arezzo and Rome towards Germany, where his uncle lives. But in Bolzano, Italian policemen blocked all doors of the IC train to Munich, asking black passengers for passports. White people were waved through without having to show either passports or tickets. 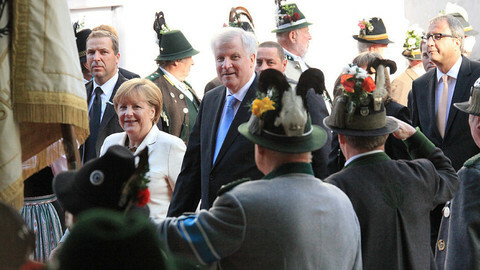 In the run-up to a G7 summit in Elmau on 7 and 8 June, Germany has reintroduced border controls. Passports will be checked over a three week period, from 26 May to 15 June. It justifies the measures by referring to the recent terrorist attacks in Brussels, Paris and Copenhagen as well as the riots which marked the opening of ECB’s new headquarters in Frankfurt. 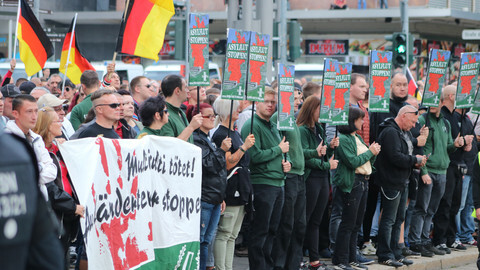 ”Potential perpetrators of violence should be prevented from travelling to the venue in Germany, to help ensure that the summit passes without incident”, the German authorities said. The measure means that the border is shut for migrants — not only in Germany, but already at Italy’s border with Austria. Italian police officers stop migrants from boarding the train on stations along the route, starting in the Italian city of Trento. Trilateral patrols (where Austrians and Germans participate as observers) are also present on board of the trains, checking passports and making sure that migrants get off the train by Brennero, 300 metres from the Austrian border. On-board controls have been more frequent for the last six months already, raising questions about whether this conforms with European rules, which state that border controls inside the Schengen area must neither be systematic or targeted. "It’s a second tragedy to the migrants when they are forced off the trains," says Andrea Tremolada from Volontarius, a local organisation which coordinates help efforts provided by the local NGOs. "They don’t know why they are stopped or even that there is a border on their way to Germany." Some people have never heard of Austria. The air on the platform is much cooler than anywhere before on their journey. They are not dressed for the mountain climate of Brennero, 1,300 metres high, where it snowed in the middle of May. Meanwhile the local commune - consisting of 2000 inhabitants - wasn't prepared to handle the humanitarian situation so the provincial government asked civil society to step in. Volunteers have turned an abandoned warehouse into a shelter for those migrants who ask for a temporary bed. They are also present at the station in Bolzano, providing healthcare services (as many migrants have fled through Libya where they were tortured), legal advice (including information on the EU asylum rules and the consequences of finger-printing) and helping with food, clothes and accommodation. While the comparison to Lampedusa - the small island off Italy where many migrants first land - may seem exaggerated, in both cases, it is the local population that has to deal with the consequences of a failed EU policy. Under the 'Dublin Regulation' the first member state where a migrant enters the EU is obliged to process their asylum request - putting a heavy burden on countries such as Greece and Italy. "According to our headcount, more than 5000 people were taken off the train in Brennero during the last six months. They would only stay one day and try to go with another train but as the border closed for migrants they are stranded," Andrea Tremolada. "Yesterday we had over hundred people but now most seem to have left — we don’t know where, maybe some will be back tomorrow if they are discovered by Austrian authorities who have the right to send them back," he said late May. 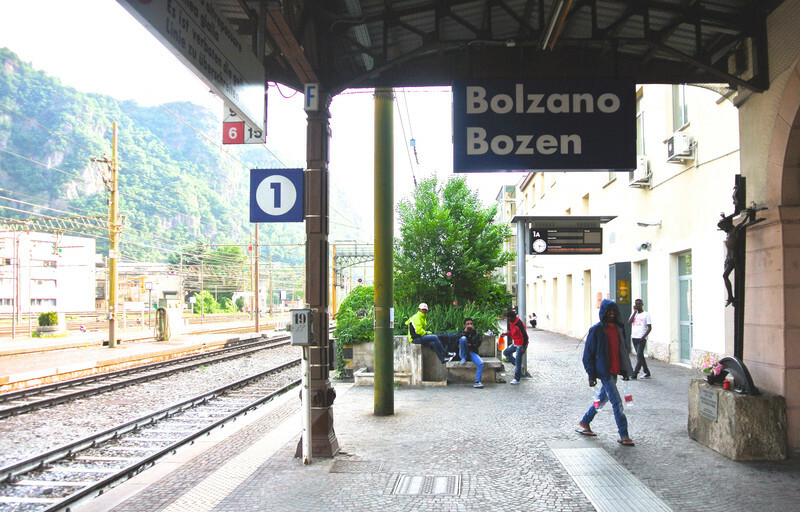 About 15 people sleep every night on the station floor in Bolzano. During daytime, this figure can rise to several hundred people. A week ago, a woman gave birth at the station. Every day the volunteers see a couple of small children passing. Local hotels let women and children stay for one night for free. 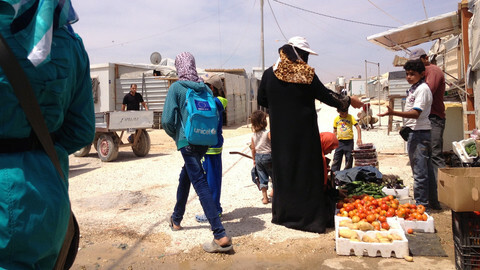 Although the local population has shown great solidarity with the stranded migrants — every day 10-15 people join the volunteer corps, and both individuals and business don clothes, food and other necessities — the station situation was used by the far-right to mobilise voters in the local elections in early May. 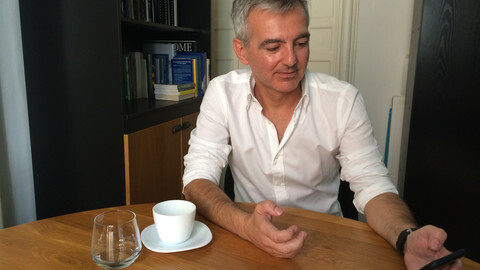 Matteo Salvini, an MEP for the far-right Lega Nord party in the European Parliament, said Bolzano was worse than Beirut. Lega Nord and Casa Pound (another far-right party) so far absent from the wealthy city, won four and one seats respectively. Despite several contacts with Italian authorities - during the rescue outside Lampedusa, in reception centres in Sicily and Arezzo - Dawit says he was never fingerprinted. "They told me that I can do it, if I want to stay in Italy, or go free." 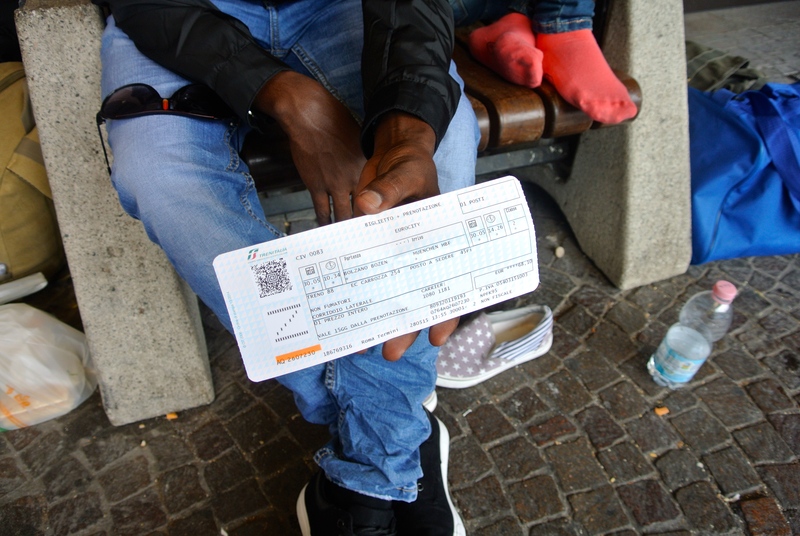 Many other migrants present in Bolzano said they hadn't been fingerprinted either. 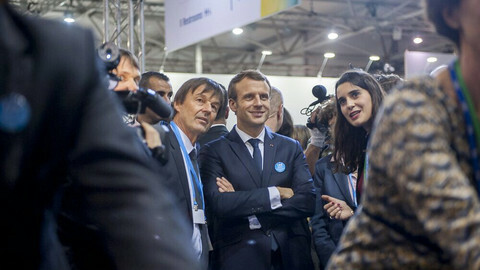 As for those who had been, it is unclear whether the records were only used by Italian authorities to check criminal records or whether they were also introduced into the centralised Eurodac system. If so, EU rules stipulate they cannot apply for asylum in another country than Italy, where they first arrived. 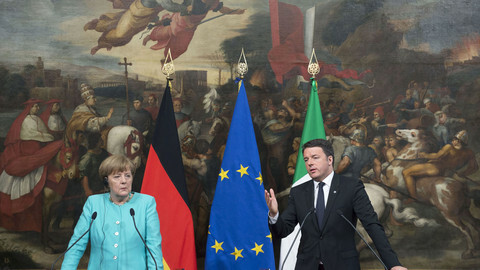 Italy is under pressure to respect European rules on fingerprinting. 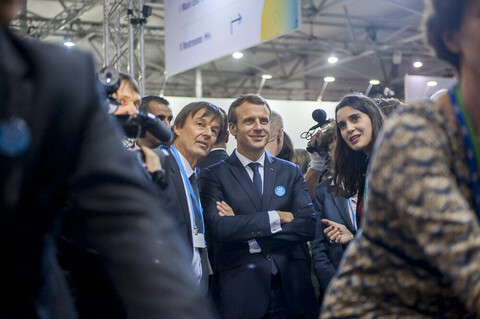 The European Commission's new migration ideas, presented on 13 May, call for member states to comply with the Eurodac regulation. The International Organisation for Migration (IOM) estimates 170,000 people came by sea to Italy in 2014, four times more than in 2013. Italy is seen as either unable or unwilling to fingerprint all the newly arrived. The European Commission is suggesting that the EU police and border agencies work together in ”hotspot” teams to fingerprint incoming migrants. In exchange, 24,000 asylum seekers would be relocated from Italy to other countries over a period of two years. The figure is low compared to the total number of migrants arriving in Italy. An estimated 100,000 people travelled through the country to northern Europe only in 2014. Sweden takes the highest number of migrants per capita in the EU. Meanwhile, the local newspaper, Alto Adige, reports that Bavaria's integration minister Emilia Müller, following a meeting with her colleagues from North and South Tyrol, said she hopes that when the border opens on 15 June, many refugees will have decided to apply for asylum in other countries. The UN special envoy on migration has urged EU leaders to show more “courage” in the face of growing “nationalism” in Europe. The German chancellor Angela Merkel backed an Italian plan on stemming migration flows from Africa, but disagrees on how it should be financed.